One of the most frequently asked questions we receive from new offshore reporting clients is how to handle transfers between bank accounts. 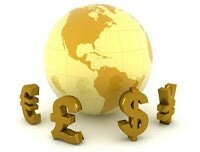 Current reporting rules look to the highest balance in each foreign account but often that means double counting. Let’s say that our hypothetical client Dr. Singh has two accounts in India. One is a checking account and the other an investment account. During the year, he never had more than $1 million in offshore accounts yet the highest balances of the two individual accounts adds up to $1.5 million. How is this possible? Easy. When Dr. Singh’s balance in his checking account became too high he transferred some money into his investment account hoping to earn a higher interest rate. The IRS’ offshore amnesty program, called the Offshore Voluntary Disclosure Program or “OVDP”, says taxpayers can adjust to avoid double counting. To do so, the taxpayer will need to have bank statements showing the transfer of monies from one account into another. Unfortunately, double counting issues can often become quite complex and the burden is on the taxpayer to prove the deduction for double counting. Things get tricky when there are 3 or more accounts, transfer between business and personal accounts, no statements or when one account is closed and the money is taken in cash and later deposited into another account. For Americans that live and bank in the U.S., the concept of no banks statements is quite foreign but we run into these situations frequently. Because the OVDP penalties are generally 25% of the highest account balances, it is important to insure that you can document all possible double counting instances. A good offshore tax lawyer can often remove certain accounts completely from the OVDP 25% penalty category too. If you have an offshore account and haven’t filed FBAR forms and properly reported your account, speak with an experienced tax lawyer immediately. The penalties for unreported accounts are huge and could easily wipe out one’s entire savings. The IRS offers the OVDP amnesty as well as a Streamlined Reporting program and opt out programs. A tax lawyer can help you decide what program works best for you and help minimize any penalties. All inquiries are kept confidential. IRS services available worldwide.